On August 7, 1964, the U.S Congress passed the Gulf of Tonkin Resolution in response to the Gulf of Tonkin incident authorizing the President Johnson to use military power in Southeast Asia without a formal declaration of war. Deeper American involvement in Vietnam was now highly anticipated. On February 13, 1965, President Johnson approved Operation Rolling Thunder – a sustained campaign of aerial bombardment against the North Vietnam. Following the Rolling Thunder, Operation Steel Tiger, an air interdiction campaign against the Ho Chi Minh Trail, was conducted by the U.S. Air Forces. The main purposes of these campaigns were first to destroy North Vietnamese’s infrastructures, including industrial bases and transportation systems so as to halt the supply lines from the North into South Vietnam; second to shatter North Vietnamese Communist’s will of fighting by heavy bombing and finally, to boost the sagging morale of South Vietnam. 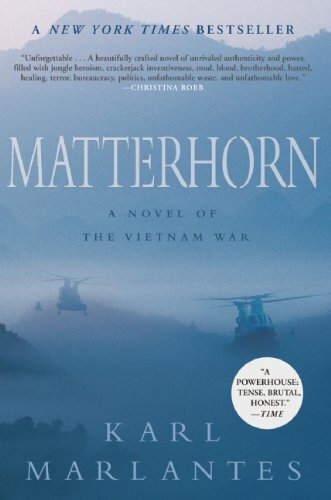 To many of Johnson’s senior civilian advisors, especially Robert McNamara, Secretary of Defense, the purpose of Rolling Thunder was to send a message to North Vietnam. Hoping for a diplomatic solution, McNamara preferred gradually increasing pressure on North Vietnam in order to make it clear to North Vietnamese leaders that America was willing to have a negotiated settlement rather than an increasing aerial destruction. This solution also came from the concern that a massive bombardment against North Vietnam might provoke China and the Soviet Union, their Communist allies, to intervene directly in Vietnam. Nonetheless, many military commanders strongly disagreed with this strategy. They believed that McNamara’s notions of gradual escalation were divorced from reality. In their points of view, the United States should not carry out a long and indecisive campaign which would give time for the North communists to build a responding air defence system. They argued that air power should be used as an overwhelming force to cut off the reinforcement and replenishment into the South instantly. When supply from the North was halted, the war in South Vietnam would wither away quickly. On March 2, 1965, adapting McNamara’s policy of “gradualism”, Operation Rolling Thunder began. For the first month of Rolling Thunder, it only consisted of missions against targets below the 19th parallel. U.S political leaders wanted to set up a gradual bomb line up to the North until Hanoi gave in. However, as the bomb line moved up, the communists showed no inclination to negotiate. Instead, a sophisticated air-to-air and surface-to-air defence was rapidly set up. The number of AAA weapons were significantly increased from less than 700 in late 1964 to 8,000 in 1968. On April 5, 1965, the first SAM site in North Vietnam was detected. In that year, a new MiG-21s was supplied to the North Vietnam. Washington’s response to the strengthening North Vietnamese defense was indecisive. The U.S. was still reluctant to permit attacks on critical targets near Hanoi and Hai Phong, including power plants, manufacturing, rail roads line and key bridges. Although the loss of U.S. aircraft kept increasing dramatically, President Johnson still hoped for a diplomatic solution. During 1965 – 1967 period, there were no less than seven times that Washington offered Hanoi some inducements to negotiate. In 1967, after two years without any positive results, President Johnson overrode McNamara’s objections and permitted stepped-up attacks in the Hanoi-Hai Phong vicinity. For the first time, a number of important targets, including Thai Nguyen steel complex, key MiG bases, the Paul Doumer bridge and several targets inside the Hanoi and Hai Phong restricted areas were heavily struck. By shifting the strategy, the operation now progressed quite well and caused serious effects on North Vietnam. According to John Colvin, British charge d’affaires in Hanoi, North Vietnamese transportation system and economy were close to collapse. However, the bombing raids only lasted for one year. In October 1968, President Johnson decided to halt the bombardment in order to begin a serious negotiation in Paris. During the Operation Rolling Thunder, U.S. aircraft had flown more than 300,000 sorties and dropped about 643,000 tons of bombs on North Vietnam. Due to operational circumstances, more than 900 U.S. aircraft were lost, 745 crewmen was shot down. According to an estimate by CIA, damage inflicted by U.S. bombardment in North Vietnam was about $370 million in physical destruction and 90,000 casualties, including 72,000 civilians. Overall, Operation Rolling Thunder was generally seen as an ineffective campaign as it could not achieve any of its objectives effectively. First, the bomb raids could not destroy the morale of the North. Ironically, Hanoi even used the destructive air strikes as a propaganda to encourage North Vietnamese people to fight against the U.S. more aggressively. Second, despite heavy bombardment, men and materials continued to flow from North to South Vietnam. 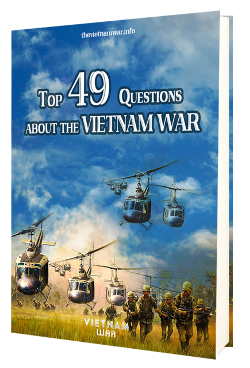 The war was expanded extensively in the South and the Viet Cong was even supplied enough to conduct a massive Tet Offensive in early 1968.
Who were U.S Presidents during the Vietnam War? What was U.S. involvement in Vietnam War? How did the Vietnam War start? What was Paris Peace Accords?